. ببساطة كل الخدمات وأساليب الضيافة التي تشتهر بها Choice Hotels تجعلك تشعر وكأنك في بيتك. لضمان راحة ضيوفه، يقدم الفندق الخدمات التالية: واي فاي مجاني في جميع الغرف, مكتب الاستقبال على مدار الساعة, مرافق مخصصة لذوي الاحتياجات الخاصة, تسجيل وصول/خروج سريع, تخزين الأمتعة . بالإضافة لهذا,تتضمن كل غرف الضيوف مجموعة واسعة من وسائل الراحة . بعض الغرف توفر حتى تلفزيون بشاشة مسطحة, اتصال لاسلكي بالإنترنت, اتصال لاسلكي بشبكة الإنترنت (مجاني), حوض الاسترخاء, غرف لغير المدخنين لإرضاء أكثر الضيوف تطلباً. كما أن مجموعة الخدمات الواسعة الموجودة في الفندق لضمان راحتك تترك لك الكثير من الخيارات لقضاء وقتك أثناء فترة إقامتك. مهما كانت أسبابك لزيارة ألبورى، فإن Comfort Inn and Suites Georgian هو الخيار الأفضل لإقامة مثيرة وممتعة. مطعم متاح/متاحة من Monday إلى Friday. The staff is very friendly ! Hotel is very spacious with a queen and single bed along with a couch and table witb two chairs. 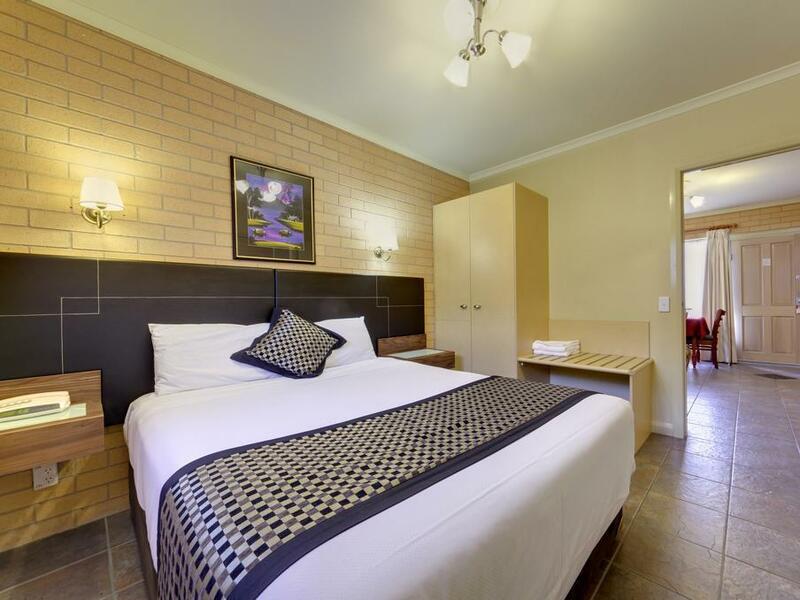 Clean and easy to access off the Hume highway. Very close to city centre and parks and gardens by car. Highly recommended. 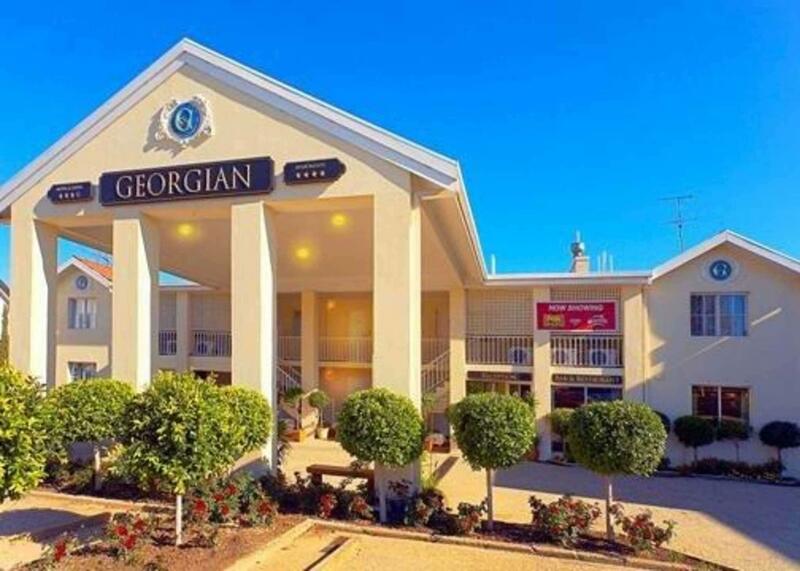 We were passing by Albury from Melbourne to sydney and stay here for one night only. This is a wonderful hotel that you shouldn’t miss. Very friendly staff and clean environment. Classical stylish buildings. And most importantly is the buffet breakfast! Traditional English breakfast, food are fresh and selections are various! Highly recommended this hotel! Nice spa pool. Staff friendly. Dinner nice. Room needs more cleaning, unusual smell, shower head old, lots of insects. 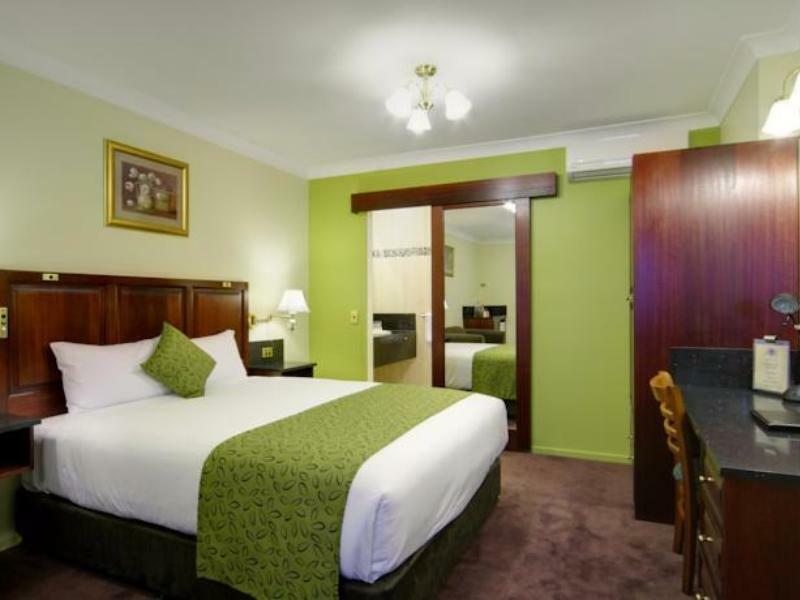 This was a convenient, comfortable place to stay overnight while travelling to Melbourne. The included breakfast was the best one we’ve had on your travels! 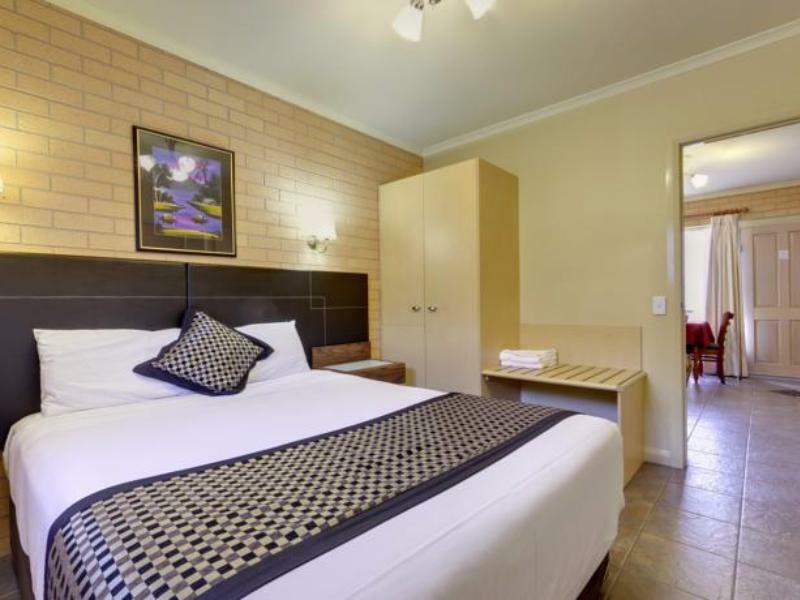 We just stayed one night as we were passing through Albury, but the room was clean, spacious and equipped with everything we needed. The staff were very friendly and welcoming, especially considering our late arrival. The breakfast was excellent. 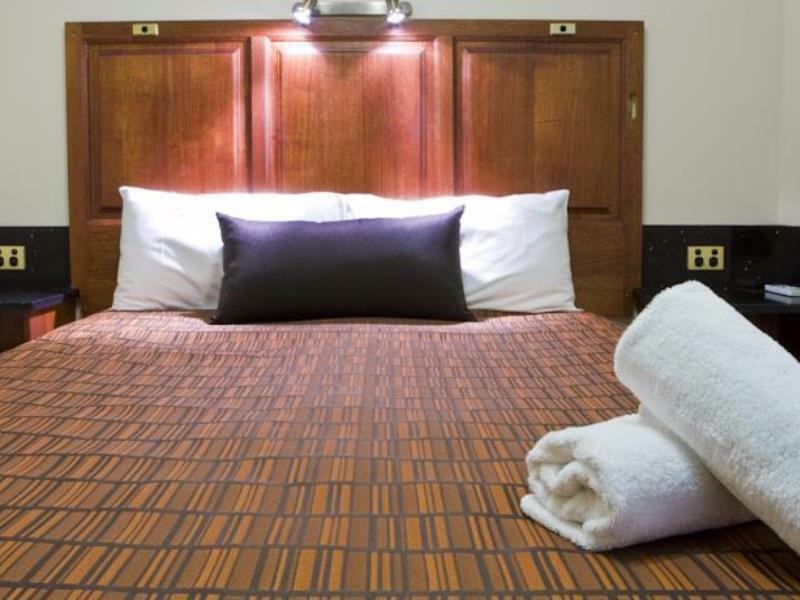 There is a continental breakfast available for $9.50, or a full hot breakfast buffet (cereals, toast, eggs, bacon, sausages, tomatoes, baked beans, spaghetti) for $16, which was included in our booking. Would highly recommend it, and I thought it was great value! We returned to stay again and were delighted to find the same family comfortable warm clean room. Room at first floor with stairs to climb. Breakfast included is average. Good location as a stopover btw Melbourne to Sydney as it is 1min from highway. Restaurants are relatively near. Spacious n clean room. Staff is friendly n kind. Upon hearing that my parents have difficulty in walking the stairs to their assigned room, the ataff offered an ungrade to a room on the ground floor. A big thank you to the hotel staff. We enjoyed our stay n dinner at your comfortable suites. We have stayed here a couple of times before on our way from Sydney to Melbourne, we have always been very happy with our stay so we decided to spend 3 nights this visit to explore the area. On this visit they offer free wifi but we could not get it to connect. We were told it was because of what we were using but have never had trouble before even while overseas. This minor hiccup would not stop me from staying here again. Parking , access and service. it was just OK. For the price I expected newer rooms - they were pretty old, and there was no cutlery in the rooms - I had to go to reception to get some - but there was a microwave in the room? TV was a little complicated to get working. Rooms are direct to the road and on Hume Hwy effectively they were a little loud. I paid a higher price for this room and was expecting a more modern room but they were quite old. They were however clean and comfortable - but I was expecting more for the price- I felt it was overpriced. Staff were lovely.